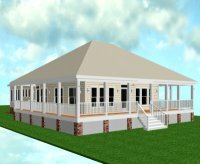 Single Story Home Under 2500 Sq.Ft.-LDH080528-Carolina Coastal Designs, Inc. This charming retreat is designed for comfortable retirement living. 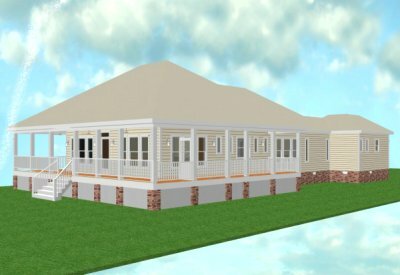 The welcoming front porch is screened to protect against the elements, and wraps around 3-sides of this home to provide great outdoor living space. The interior boasts numerous windows that provide an airy and bright atmosphere, along with high vaulted ceilings in all of the living areas. 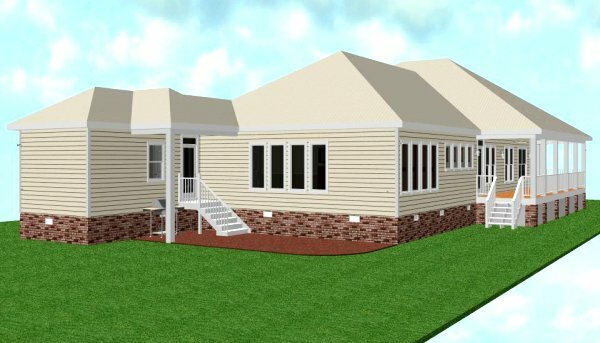 There is a warming gas fireplace in the centrally located family room, a private study at the front of the house, and a cheerful sunroom at the rear. The modern kitchen has a center island, an abundance of cabinets and counters, and a walk-in pantry. There is also a formal dining room that adjoins both the kitchen and the sunroom. This home is uniquely designed with two master bedroom suites, both sharing a huge walk-in closet. They each have a private bathroom but share a central, vaulted, spa tub and custom-built shower room. 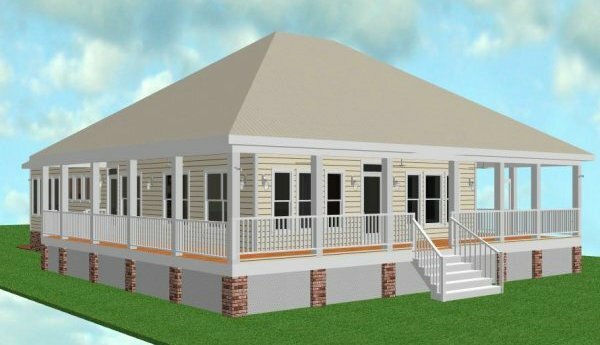 The sunroom adjoins a back hallway leading to a convenient powder room, and a spacious laundry room with an oversized storage room. The back door opens to a "partially" covered patio that is perfect for outdoor grilling and dining.